John J. "Johnny Doc" Dougherty, left, Business Manager of Local 98, talks with former councilman James Kenney after he officially stepped down from his position in city council in City Hall in Philadelphia Pa. on January 29, 2015. One of the more stunning revelations to come from last week’s federal indictment against Local 98 leader John “Johnny Doc” Dougherty, City Councilman Bobby Henon and others was the implication that Philadelphia’s controversial soda tax was motivated by a corrupt intent — to damage Teamsters truck drivers and eliminate 100 of their jobs. Now, the Kenney administration is desperately trying to argue that they didn’t have an inkling that was the case. Just days after the indictment’s release, two top Kenney administration officials penned an op-ed contending that the beverage tax had nothing to do with the federal indictment’s conclusion of a job-killing motive. Their argument ignores the clear inferences flowing from the indictment itself, from the news coverage of the soda tax, and from Mayor Kenney’s personal conduct throughout this controversy. The indictment alleges that in 2016 the Mayor’s Office started the soda tax campaign by reaching out to Dougherty, who, in turn, enlisted Henon as the sponsor. Kenney acknowledges he relied on Dougherty and Henon to get the tax passed. Dougherty even went so far as to round up votes in the Council chamber on the day of the vote. Kenney would have us believe that although the tax was pushed through by the Kenney-Dougherty-Henon trio, he himself never heard a word about the anti-Teamster motivation. This is despite the fact that the Teamsters supported Kenney’s 2015 mayoral opponent and that, as a consequence, when Kenney became mayor, he refused to meet with the Teamsters to discuss the impact of the bill on their members. Kenney has been found to have made many misleading statements about the soda tax. A report from Controller Rebecca Rhynhart disclosed that 49 percent of the tax revenues were placed in the General Fund, rather than specifically for Pre-K or Rebuild. The non-profit that was lobbying for the tax was fined $8,000 for non-disclosure of expenses. Kenney’s staff was also caught surreptitiously working with an allied group to make it appear that activists were spontaneously protesting Councilwoman Sanchez’s opposition to the tax. Ironically, Kenney has expressed more pride in the soda tax than in the programs it was supposed to fund. He was able to secure TV ad funds from former New York City Mayor Michael Bloomberg because it was a tax on soda, not because of any programs it would fund. Kenney has killed any discussion of alternative, more broad-based revenue sources, such as the container tax or the proposed half percent increase in the city’s sales tax. He has heaped insults and personal abuse on ShopRite owner Jeff Brown, who was forced to close the Haverford ShopRite because an annual $7 million revenue loss triggered by the soda tax made the store unsustainable. To pretend that Kenney is innocent of the job-killing motivation for the soda tax is ludicrous. 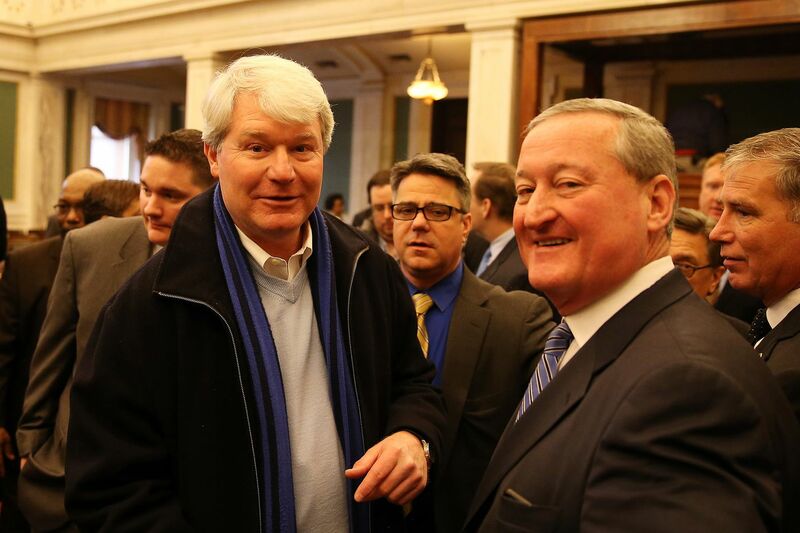 Local 98 officials, led by Dougherty, started the SuperPAC that supported Kenney in his bid for mayor. Without the support of Local 98, it’s unlikely that Kenney will win his 2019 re-election bid, especially because he’s shown a dogmatism and hostility toward the soda tax’s victims. How about this? Now, that he knows about the motivation that delivered him the tax, Kenney should repeal it and use the city’s surprise surplus to fund Pre-K and Rebuild. Alan Butkovitz is former city controller and currently a candidate for mayor of Philadelphia. Editors’ note: As the 2019 mayoral and City Council elections near, we expect that we’ll hear from candidates and incumbents on issues of importance to our readers. For all submissions, we’ll use our usual criteria — which includes quality, timeliness and balance— to evaluate what gets published. All pieces, especially those from candidates, must be about topical issues. We won’t publish a piece where a candidate only makes the case for his or her qualifications for office. One month before Election Day, we will stop publishing op-eds written by candidates. We’ll be affixing this disclaimer to all commentaries written by someone running for office.